If you have been charged with a DUI / OVI in Lebanon, your case will likely be filed in the Lebanon Municipal Court. Our DUI, traffic and criminal defense attorneys represent clients throughout the Cincinnati area, including in the Lebanon Municipal Court. WHAT KINDS OF CASES DOES THE LEBANON MUNICIPAL COURT HEAR? The Lebanon Municipal Court handles all traffic and criminal misdemeanor cases that occur in City of Lebanon and Turtlecreek Township. In Ohio, a misdemeanor offense is any crime carrying a penalty of less than six months in jail. I WOULD LIKE TO SPEAK WITH AN ATTORNEY ABOUT MY LEBANON MUNICIPAL COURT CASE. WHO SHOULD I CALL? 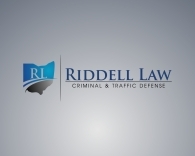 Call (513) 655-7240 to speak with one of our DUI / criminal defense attorneys practicing in the Lebanon Municipal Court. We are on call 24/7 to answer questions about your case and your rights. WHERE IS THE LEBANON MUNICIPAL COURT? The Lebanon Municipal Court is located in the heart of Lebanon, Ohio at 50 South Broadway. If you need directions, click on the map below.